Ernest H. Jones, II - Mediator based in Lexington , Kentucky. Please click your preferred available date to submit a request. Your Appointment Form will be sent to Hank's assistant, Tanya J. Mirilovich. 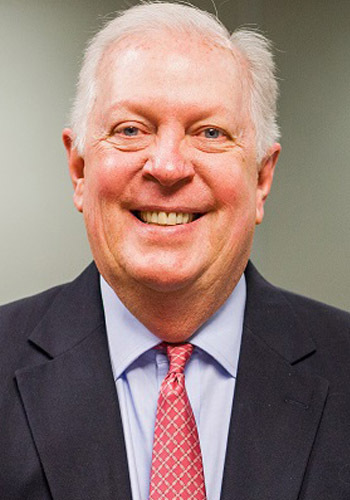 Hank’s primary area of practice is insurance litigation, representing major insurance companies and third party administrators in all aspects of insurance litigation, including motor vehicle accidents, premises liability (slip and fall cases and swimming pool accidents), catastrophic injury claims (brain and spinal cord injuries), products liability cases, arson and fraud claims, coverage analysis, and extra-contractual liability and “bad faith” claims. He has represented insurers and insured in over 90 of Kentucky’s 120 counties and tried cases in over 60 of Kentucky’s counties. Additionally, Hank is a certified mediator and has mediated many cases in the above areas of practice since 1999.